Caravans loaded with goods passed through Tajikistan when the ancient Silk Road ran through this country; today, it is one of the world's poorest and least explored nations. Devastated by the civil war of the 1990s, Tajikistan tourism has recently bounced back, as the country's unspoiled mountain landscapes attract a growing number of daring climbers and adventurous travelers. Picturesque highland villages welcome foreign explorers searching for an authentic Central Asian experience in a place seemingly frozen in time. Roads are practically nonexistent in many places and public transport unreliable, but the hospitable Tajiks treat visitors with such warmth and kindness you're not likely to mind the lack of amenities and modern distractions. Tajikistan is in Asia. 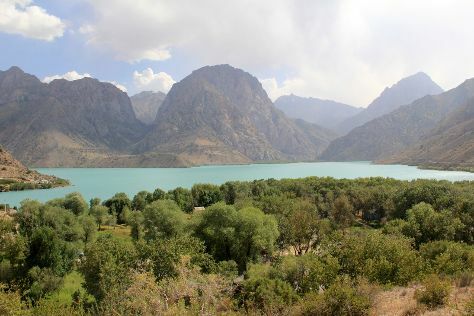 Add Tajikistan and other destinations in Tajikistan to your travel itinerary using our Tajikistan trip planner.